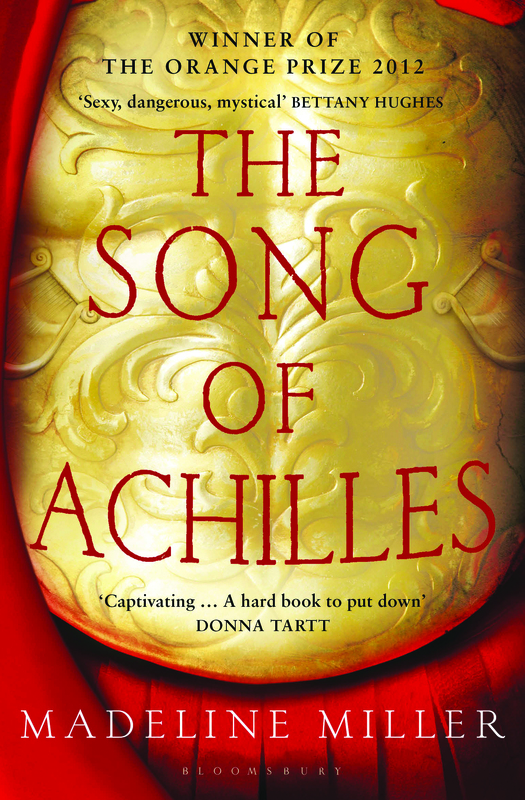 Even with all the hype surrounding Madeline Miller’s debut novel, I was sure that I would not be disappointed when I read The Song of Achilles. And I’m relieved to say that I wasn’t! As I mentioned in my post about Roger Lancelyn Green’s Tales of the Greek Heroes, I only have a vague knowledge of the Greek myths. So I opened The Song of Achilles not really knowing what to expect. The book is narrated by Patroclus, an unlucky young prince who is banished by his own father to live in the court of King Peleus and his brilliant son Achilles. Achilles is a demigod destined to grow up to be a hero, and at first Patroclus resents him. Why couldn’t he be as perfect as Achilles? His resentment leads to a confused admiration, friendship and eventually the two become lovers. I have no idea whether Patroclus and Achilles are ever more than close companions in The Iliad, and perhaps one day I should read it and find out! But their relationship made the book so captivating. Miller’s descriptions of the awkward, pre-pubescent confusion that Patroclus experiences bring his character to life. Through their young adulthood, the couple manage to stay together, even when Achilles’ powerful mother, Thetis, tries to keep them apart. And when Achilles is sent to Troy to fight and become a great hero, Patroclus follows him. It’s in Troy that our narrator really comes into his own. He does not often fight, but is useful in the medicine tent and becomes friends with the people in his camp. In fact, he has never before been so highly regarded. His largest worry is Achilles and a dreaded prophecy that is constantly in the back of his mind. The Song of Achilles is extremely readable. The battle scenes, seen through the eyes of the gentle Patroclus, are not too long and bloody, but still fill the reader with horror. Before reading the book, I had been worried that there might be a lot of characters, but only the important ones are mentioned here, meaning newbies like me won’t get too confused. Achilles himself does not come across as well in the Trojan war as Patroclus. His ego and pride take over, until he becomes, in my eyes, a very unlikable character. The real hero of this story is Patroclus. The last hundred pages or so are absolutely jam packed with action and drama. It’s a real roller-coaster of a ride and gets a bit emotional, so be warned! I’m looking forward to seeing what Madeline Miller has to offer in the future. A fantastic book whether you are interested in the Greek myths or not! Buy a copy by clicking on the picture below. Oh this sounds good and I’m glad the battle scenes aren’t too horrific. And not too long either. I can get a bit bored of long battle scenes! This sounds so good. I’ve had it on my radar for a while now. Might have to pick it up in 2014! I know, everyone was talking about it last year! Hope you enjoy it as much as I did. This is one of the best books I read this year. I love it. I’ll probably reread it sometime next year, too. It is brilliant – I still haven’t heard a bad word about it! That’s great! Let me know how you get on with it… And Happy New Year!